This entry was posted in Movie, Reviews, Trailer, War Movie and tagged Cold War Thriller, David Duchovny, Ed Harris, Movies, Post-war, Review, War Movies, William Fichtner. Thanks Caroline: I hadn’t heard of this, so now I’m off to see if I can rent a copy. I was so glad they didn’t speak in fake Russian accents but it took some getting used to, to accept the guys as being Russian. I really like Ed harris and the other actors. It’s an ok movie, not great but worth renting. I saw this in a theater with one other person. I do not know who greenlit this move but they must have been insane after the flopping of K-19. There was absolutely no market for it. 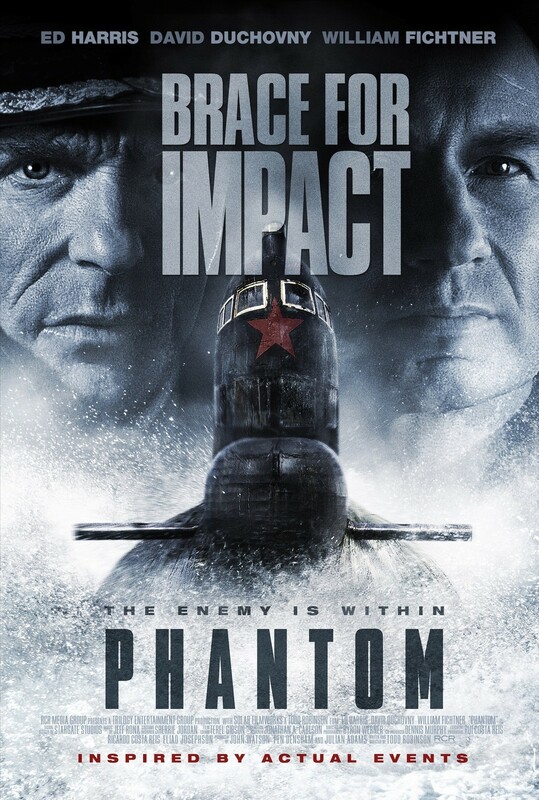 It’s not a bad movie especially compare to the many terrible sub movies. That subgenre has a high rate of suckitude. The premise is ridiculous and to claim it was based on a true event is a howler. It is not too clicheish. The acting is okay with Harris putting more effort than the film deserves. Duchovny does poor job and is not a good foil for Harris. The set is commendable, but the special effects are low rent. It is also shaky in tactics. I think we agree on this. Did you review it? Funny enough, I thought it hand an independent appeal but not quite. Maybe it would have been better if it had either been a much smaller scale or much bigger with special effects and all. I’m not sure the idea is too far fetched. Duchovny is an actor people like because of the X-Files, obviously but he’s not good, I agree. I liked the other two though. I reviewed it in March, 2013. You commented that you were intrigued and would try to see it. I saw that meanwhile. Sorry. I would havementioned you but by the time someone commented I’d forgotten you’d reviewed it. Still the best movie I’ve Watched this year. You always learn something new each time you watch the movie. Today I got the coms.